The Emergency Veterinary Clinic in Brampton services the communities of Acton, Georgetown, Milton, Mississauga, Brampton, Caledon, Bolton, Orangeville, Mono & Palgrave. The Emergency Veterinary Clinic in Brampton, has the facilities to deal with you pet's medical or surgical emergency. 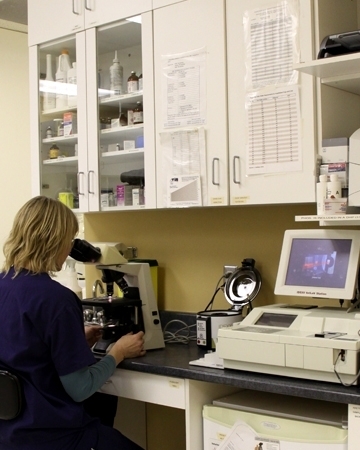 We have emergency medical, surgical, in-house laboratory, radiography, anesthesia, nursing and monitoring services. These services meet the current standards for a certified Emergency animal/pet hospital. On the morning of your pet's discharge, a copy of your pet's medial record while at the Emergency Veterinary Clinic of Brampton will be forwarded to your family veterinarian when their hospital is open. Your veterinarian will then continue treatment based on their knowledge of your pet's medical history and medical condition. This ensures ongoing, continued high quality care by your veterinarian.